Apple's new 3G iPhone doesn't just look good. It's one resilient little bulldog. We put this faster version of the iPhone, released today in the United States, through dropping, scratching, and dunking tests, and the device performed like a champ. In fact, it wouldn't knuckle under until we ran it over with a motorcycle. In PC World's second annual battery of iPhone Stress Tests--see our famous Original iPhone Stress Test video below--our 3G iPhone test unit withstood a serious beating from keys, breakfast cereal, water, dish soap, and city sidewalks. Only a renegade videographer on a motorcycle was able to render it fully non-operational--and even then, its battery kept on ticking. In fact, several hours after these event, its splintered screen was still glowing. 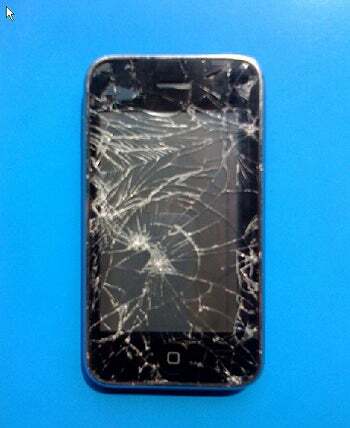 Take a look at our iPhone 3G torture tests. As you can see in our 2008 iPhone 3G video, the first test involved placing the iPhone in a plastic bag with two sets of keys and jostling it around like 3G Shake 'N' Bake. This is designed to simulate what might happen to the phone as it rattles around in your pocket or purse. The iPhone's screen, plastic backing, and ridges emerged relatively pristine from this test. Next, we turned up the heat a bit, applying pressure to rub the keys on the iPhone's screen and backing. Again, the iPhone looked as good as new after that more rigorous key-scratch test. It wasn't until we removed the plastic bag completely from the equation and took a key to the screen and backing of the phone that we saw any tangible damage--and that was only to the foil-like Apple logo on the back of the handset. Froot Loops and milk are also no match for this handset. After dropping the iPhone in a bowl of delicious cereal--not once, but twice--the phone was fully operational, even before towelling it off. When washed in a sink with lukewarm water and generic hand soap, the iPhone also came out unscathed... and smelling great. Alas, chinks in the 3G iPhone's armor developed with the onset of our drop tests. The first drop produced a small nick in the beautiful 3.5-inch touchscreen (as well as the appearance of internal condensation, presumably from the cereal/water tests), as well as scuffing and dents on the treated plastic backing. Subsequent drops chipped away at the screen, producing a spider-web-like matrix of cracks by about the 5th drop. The touchscreen, iPhone's 480-by-320-pixel trademark visage, no longer responded to human touch. And then there was that unfortunate motorcycle event. Of course, this video follows directly in the footsteps of last year's masterpiece, starring the first version of the iPhone and Senior Associate Editor Eric Butterfield. In these tests, we were unable to render the iPhone useless, but we didn't stoop to (literally) driving it into the ground as we did today. The iPhone's gotten tougher--but so have we. Take a trip down memory lane, circa iPhone Launch 2007.